"Bijna weer een wijntje!" basically "nearly time again for a wine!" 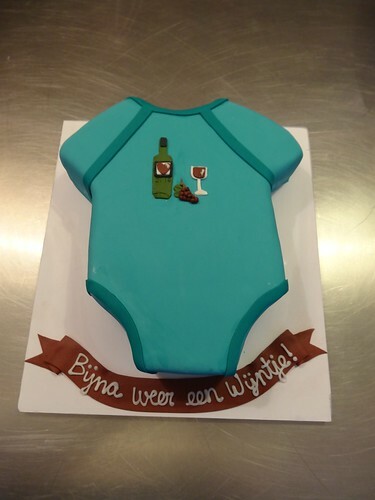 A very funny and fitting baby shower cake!